When I opened up my mailbox today, I found a mail of PR agency Marnix&Ally with the actually very cool news that DAMN, a Belgian brand specialised in 2D and 3D printing of jewellery for both women and men I noticed at the Press Days, comes with yet another amazingly cool masterpiece: A collection named A STRUCTURAL DISTORTION, featuring 3D printed cuff links that you can personalize! Sorry girls, this one's for the boys out here, but hey, you can always buy your boy a pair to make him happy! 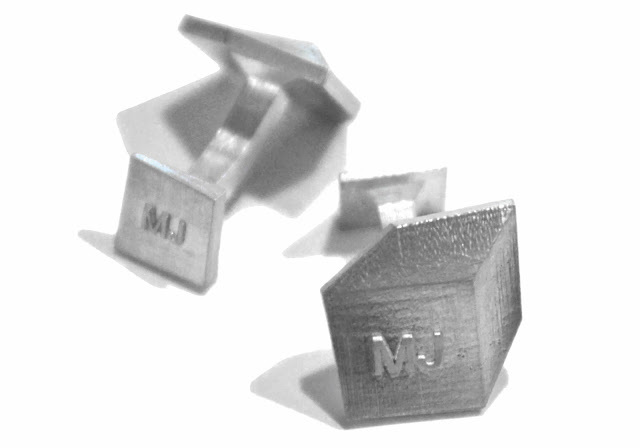 I first of all think it is like the craziest thing ever that we are able to PRINT accessoires, clothes and stuff, but I am even more crazy about the fact that you could be strolling around with a pair of very personal cuff links! I mean, if that isn't fabulous and very professional, I don't know what is. 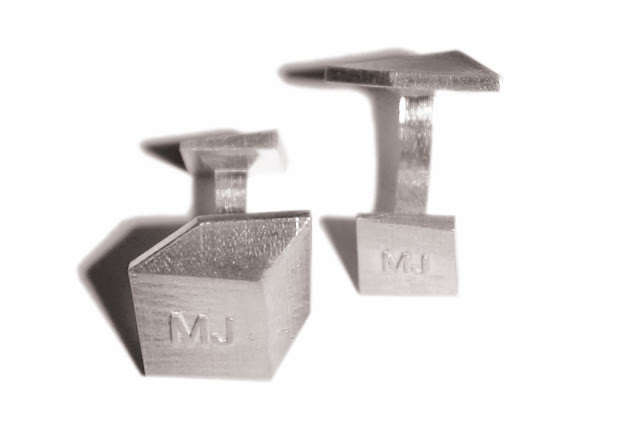 The cuff links are very basicly designed, but I think that's an advantage, because your initials really stand out like that. They have grown out of a collaboration of DAMN with the Antwerp brand Twikit, that is specialised in 3D customization. You can order your personalized pair of cuff links at the DAMN website, from the 25th of November. I know right! K zou er echt supergraag hebben gewoon!